Rimmel London Stay Matte Liquid Mousse Foundation as Low as FREE at CVS! Woot! Here is another awesome deal you can score at CVS this week! 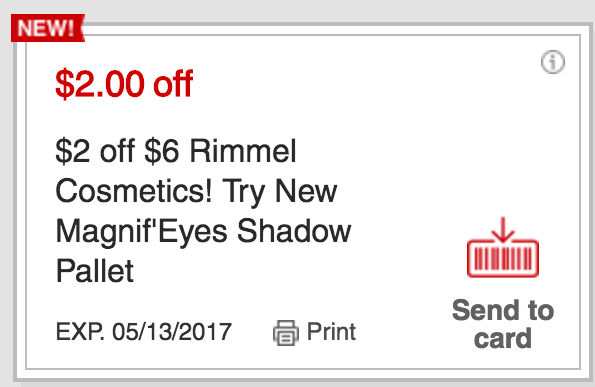 Through 5/13, CVS is offering a $3 ECB when you Spend $8 on Rimmel Cosmetics, the limit of this offer is 1. The Rimmel London Stay Matte Liquid Mousse Foundation is priced starting at $5.49. Many CVS Shoppers are getting at $2/$6 off Rimmel Cosmetics Coupon printing at the CVS Coupon machine, if you have this coupon you can score 2 of these FREE + $0.02 money maker! If you do not have this coupon you can pick these up for just $0.99 each!